You are an excellent communicator and are passionate about disruptive innovations. You have a strong interest and expertise in gaming, gamification, VR, youth-driven digital projects, e-learning platforms. You are energetic, full of initiative and results-oriented. You are looking for a meaningful job that will make a lasting impact on children in need of protection throughout Europe, children and youth in migration, children deprived of liberty? Then this challenge is for you. Contract One year, renewable. Attractive compensation and benefits package. Flexible working hours, between 50% and 100% of a full time equivalent, to be agreed. Location Flexible with regular travels to Budapest, Hungary. Terre des hommes (Tdh) is the leading Swiss child relief agency. Founded in 1960, we are committed to improving the lives of millions of the world's most vulnerable children. Through our innovative protection and health projects, we provide assistance to over three million children and their families in almost forty countries each year. In Europe, Tdh intervenes directly in 7 countries, relying on teams based in Budapest, Albania, Greece, Kosovo, Romania, Moldova and Ukraine. Working closely with partners, Tdh intervenes indirectly in 16 other countries. The Regional Office in Budapest has been operating since 2006. 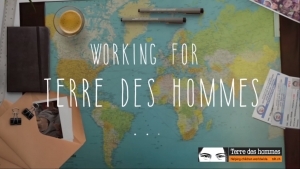 The Innovation and Digital Transformation Expert (hereinafter referred to as “Expert”) will be a part of the Terre des hommes’ Disruptive Innovation Unit with a direct reporting line to HQ. This unit is highly dynamic and is behind major innovations such as: ICT for Child Protection, ChildHub, ICT for Health, IeDA, Nazeef. It aims to bolster innovation within Tdh programs by incubating innovative ideas toward small-scale prototypes and accelerating risky but promising prototypes toward large-scale solutions (e.g. www.childhub.org). The Expert will be responsible for innovation and digital transformation in the whole Europe region, providing advice & leadership on the development and use of ICT to support programmes in Europe. S/he will identify and promote quality and relevant ICT components; support, follow and directly manage all ICT components such as games and knowledge platforms within the various programmes. The Consultant will contribute to the definition and implementation of the Tdh global strategy and contribute to develop internal and external ICT-related dynamics at Tdh. Help developing a regional network with existing regional partnerships, networks, centres of expertise, academia and research, industry, etc. Qualified applicants are encouraged to submit their CV and motivation in English to recruitment@tdh-europe.org. Please include “Innovation Expert, your name and surname” in the subject line of the application email. Please indicate in the email content where you found our Vacancy Announcement and your salary expectations. Applications without this information will not be considered.